These three cookbooks will teach you step-by-step the different dishes and increase your culinary skill. You will learn various popular Asian cuisines, snacks and food from Thailand, Indonesia, North India, Philippine and Singapore. SIGN UP at my home page right column your name and email. Subscribe and get a FREE Monthly Low Fat Recipe and learn cooking tips and secrets from my 3 PDF cookbooks. Click Cookbook on the menus and read the page with the brief contents on the 3 PDF cookbooks and choose your choice. Click BUY NOW and pay by Paypal or credit card/master card with your bank details and you will be directed to download the PDF cookbook of your choice. Listen to my video and it will tell you how to print out the PDF cookbook: the recipe page must face the photo page on copy paper 70 gm and get 2 plastic cover with a spine from the stationery shop. Compile into a useful book for your kitchen use or you can just double click on the PDF and see the recipes from the computer. 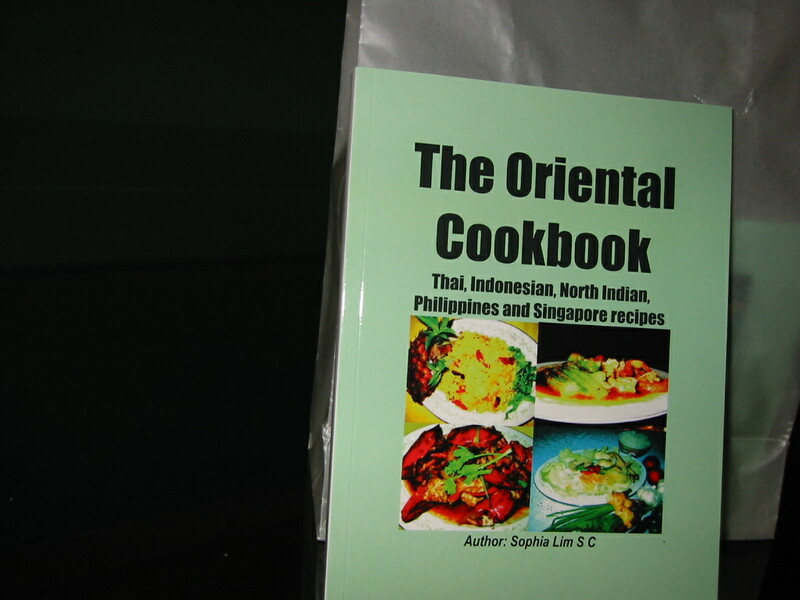 As for the printed version of The Oriental Cookbook you can pay online and send email to visionp@singnet.com.sg with your attached receipt including freight (check with your post office) and I will send the book by parcel post to your address. The Asian flavours and cooking techniques are illustrated in step-by-step method and shown with colour photographs to ensure fantastic results every time you cook in the comfort of your home.